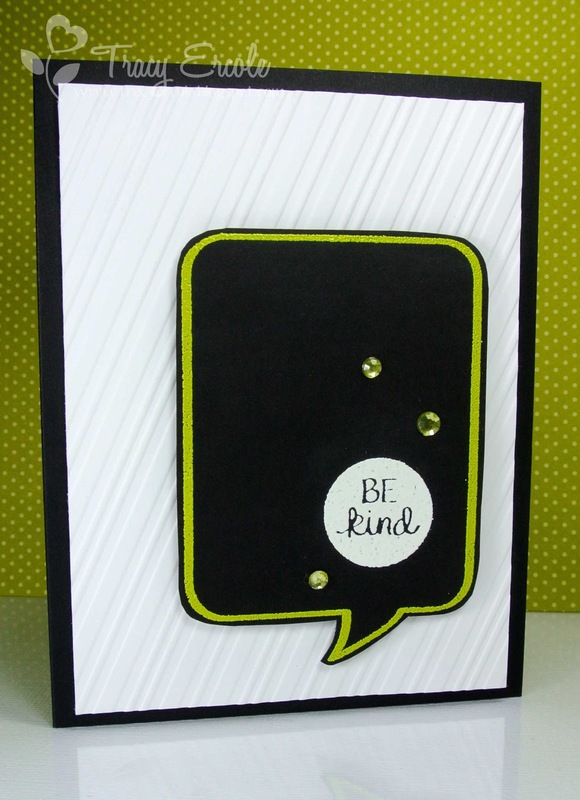 I love using embossing on my cards so this challenge was perfect to me. I love both heat and dry embossing and own a few too many embossing folders! I hope you love embossing too and get to play along with us at Little Tangles. If you don't have any Neat & Tangled stamps yet, that's okay, still play along there are some FREE digital stamps over on the Little Tangles Challenge Blog you can use! 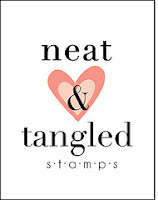 And of course a fantastic prize again, you have the chance to win one stamp set of your choice from Neat & Tangled stamps. So make sure you link up your creation over on the Challenge Blog, you have until April 28 at 11:59 EST. Love this bold card and love that you used both wet and dry embossing! This is such a fun card Tracy, and I love your new picture! Such a perfect CAS card and profound sentiment for this time in the world! Thank you, Tracy! totally cute CAS card...have a fabby weekend!